Be one of the first to experience solitude on the beach at Starfish Landing. 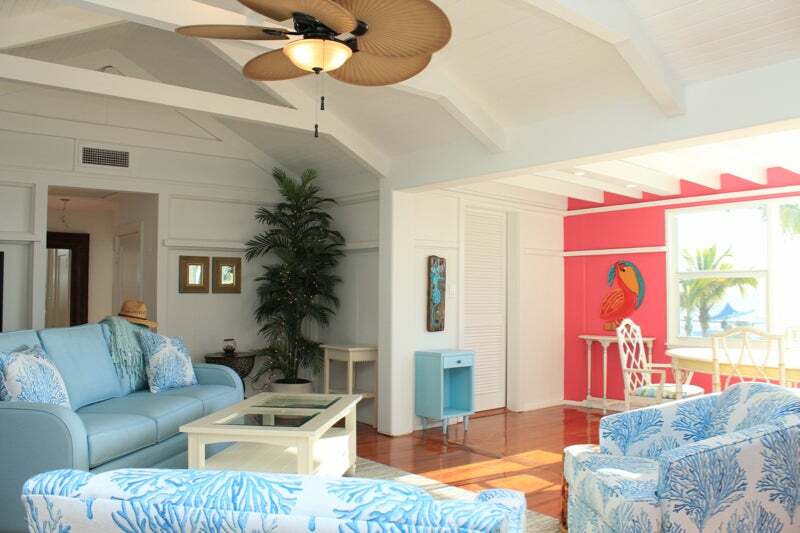 Enjoy a fabulous vacation at the amazing beachfront cottage — brand-new on the vacation rental market. Newly renovated to exacting standards, the Main Cottage offers 4 Bedrooms and 3 baths. Appointed with glistening pine floors, whitewashed walls, and a decor palette of blues and tans that echo the sun, sea and sky. 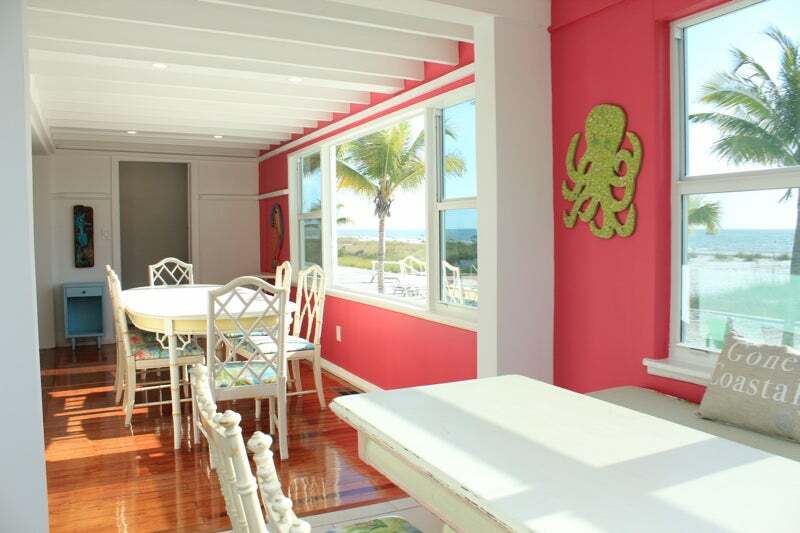 Stunning views are visible through 40 feet of windows across the beach side of the house. The open concept living, dining and new well-equipped kitchen areas take full advantage of this vista with free sunsets every night. The 4 bedrooms offer plenty of sleeping space and privacy. The Master Suite offers a king-sized bed with beachfront views and an ensuite bath and shower. The second bedroom provides a king-sized bed; the third bedroom features a queen bed; and the fourth bedroom includes two twin beds with an ensuite bath and shower. Each bedroom has its own HD Smart TV. 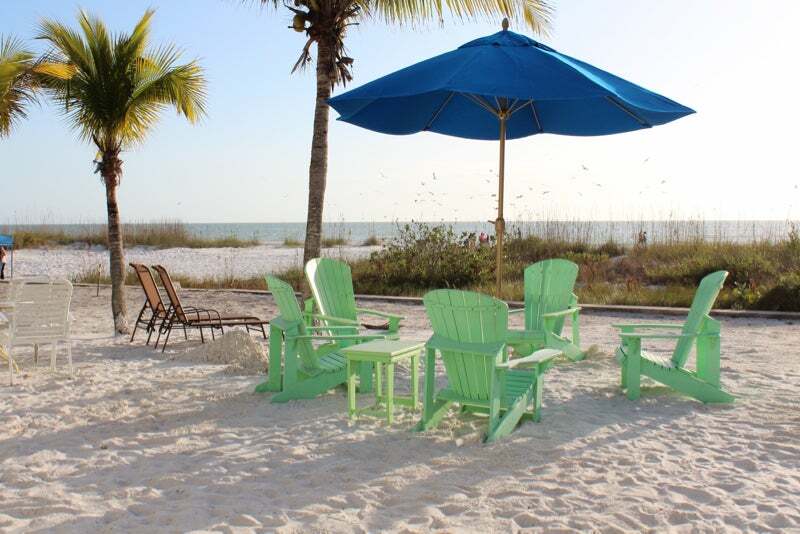 If you’re looking for more activity, Fort Myers Beach has it all! From the Gulf of Mexico to Estero Bay, hop a boat and cruise around! Starfish Landing is located on Aberdeen Avenue, a great mid-island location for a quiet beach environment, proximity to shopping, the movie theater, Outrigger Tiki Bar and other great restaurants and shops. In addition, there is a Guest Cottage with two more bedrooms! The Beach House and Guest Cottage are rented together as a 6 bedrooms for Thanksgiving, Christmas and New Year’s as well as February through mid-April, and Memorial Day through mid-August.